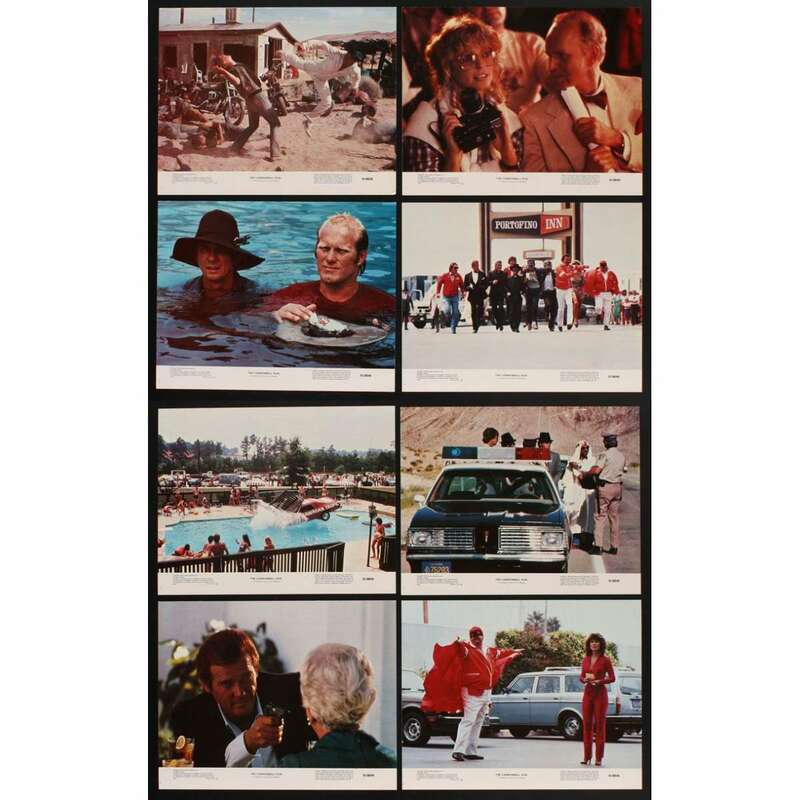 > Lobby Cards and Photos>Lobby Cards>CANNONBALL RUN 8 color 11x14 stills '81 Burt Reynolds, Farrah Fawcett, Roger Moore! CANNONBALL RUN 8 color 11x14 stills '81 Burt Reynolds, Farrah Fawcett, Roger Moore! 8 Original Vintage Theater-Used Color 11" x 14" [28 x 36 cm] Movie Stills Condition: Very Good to Excellent (C7) See our 10 GRADE SYSTEM Page for more information. The Cannonball Run is a 1981 comedy film starring Burt Reynolds, Roger Moore, Dom DeLuise and Farrah Fawcett, and was directed by Hal Needham. It was produced by Hong Kong's Golden Harvest films. There was a sequel, 1984's Cannonball Run II. Overall Condition: very good to Excellent.